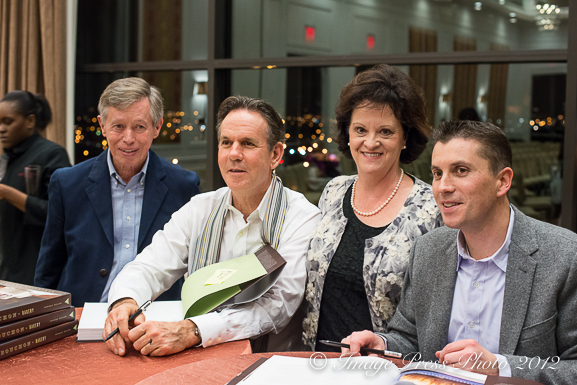 It is not often that you receive an invitation to spend an evening with chefs Thomas Keller and Sebastien Rouxel. And when you do, you make the necessary changes in your schedule to graciously accept that invitation. So, I did and we traveled to Nashville, Tennessee. Last Tuesday evening, December 4, 2012, was a night to remember. 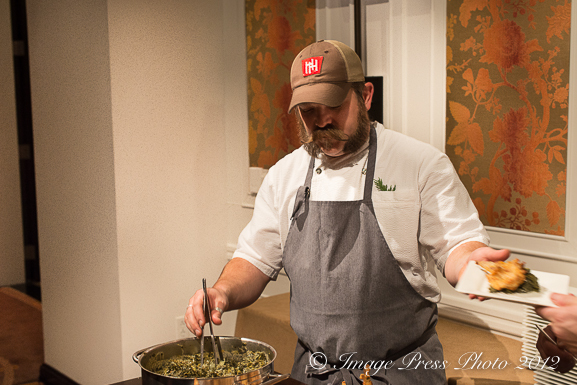 Sponsored by The Tennessean and Viking, the festivities at The Hutton Hotel were not only an opportunity to meet and listen to these two inspiring chefs, it was also a benefit for The Nashville Food Project. This organization serves over 2,400 meals per month from food trucks to some of Nashville’s low-income residents. The meals are prepared by a staff of volunteers with donated foods as well as produce from their own gardens. 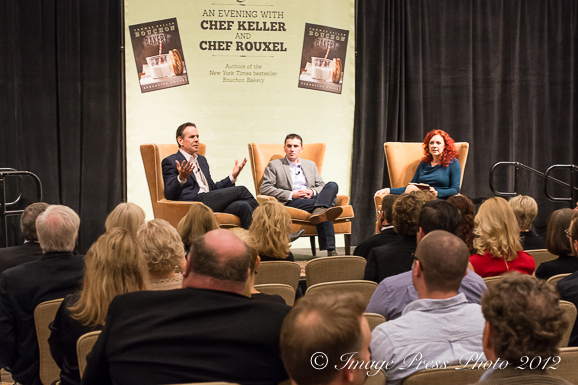 Three hundred guests attended this charity event and book signing, promoting Keller and Rouxel’s new book, Bouchon Bakery. Thomas Keller is the renowned chef and owner of some of the finest restaurants in the United States (The French Laundry, Per Se, Ad Hoc, Bouchon, and Bouchon Bakery). Sebastien Rouxel is the Executive Pastry Chef for the Thomas Keller Restaurant Group. The evening was also an opportunity for some of Nashville’s most notable and up and coming chefs to show off their own talents. We sampled small plates from Charles Phillips (1808 Grille), Tyler Brown (Capitol Grille), Erik Anderson and Josh Habiger (The Catbird Seat), Bart Pickens (Loveless Event Catering), Chris Carter and James Peisker (Porter Road Butcher), and Matt Bolus. Chef Tyler Brown’s sweet tea brined quail with creamed Glen Leven greens and candy roaster pumpkin seemed to be the most popular dish of the evening as the lines waiting to be served this southern specialty extended the length of the room. 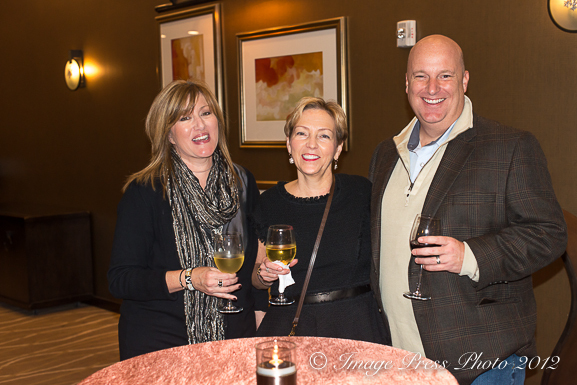 You never know who you might run in to when attending events that involve great food and chefs and we had our share of surprises that evening. 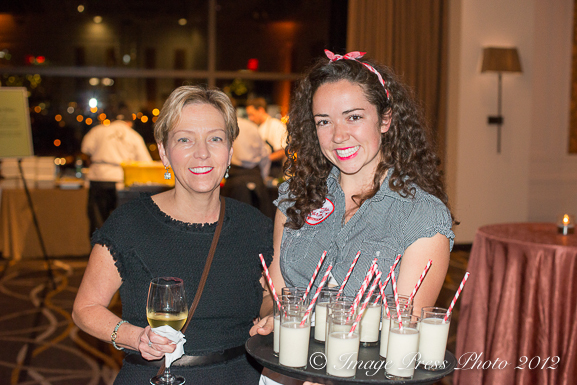 Colleen Cruze of Cruze Dairy Farm (Knoxville, TN) was serving her newly created (and awesome) vanilla milk in small glasses with red and white straws, fashioned after the front cover of Bouchon Bakery. The King of Bacon, Allan Benton, of Benton’s Smoky Mountain Country Hams (Madisonville, TN) was in attendance with his family. We also had the pleasure of seeing JJ and George Seiters, a couple who had attended our Louisville, On The Road culinary adventure this past October and fellow Lambs & Clams Recipe Contest contestant, Vivek Surti. 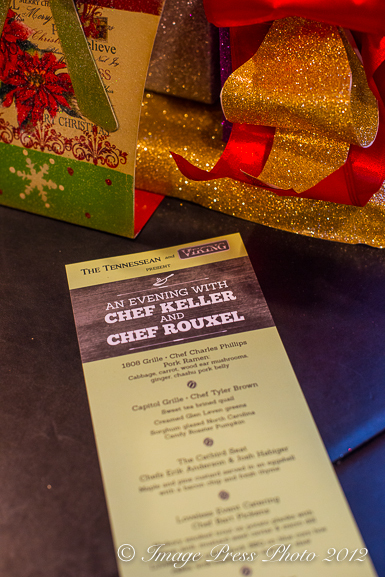 Chefs Keller and Rouxel shared their thoughts and suggestions on many topics during the hour-long question and answer session moderated by Jennifer Justus, food and feature writer from The Tennessean. Listening to both of them was intriguing and inspirational. 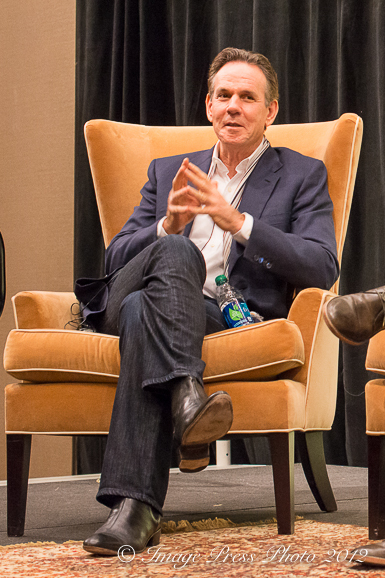 Did you know that Thomas Keller might now have been a retired baseball player had he not become a chef? Here is a brief clip from their discussion. Keller told the audience to cast off their cups and spoons and weigh everything with a digital scale when baking. In grams. When working with a new cookbook, he recommended choosing a recipe that is below your skill level rather than selecting something that is more difficult. He said you need to build confidence first and then move on to greater challenges. He spoke about keeping things organized and clean in the kitchen when preparing foods and executing dishes. No one wants to dirty a white tablecloth, so his chefs have white tablecloths in their kitchens to ensure everything stays as spotless as possible. He spoke to restaurateurs and chefs who hire cooks and other chefs. Train them, commit to them, and mentor them, Keller said. If you don’t want to do that, why hire them? He also said that if you want better ingredients and want to know where your food comes from and have relationships with your farmers and suppliers, then you should expect to pay more, just as he always has. 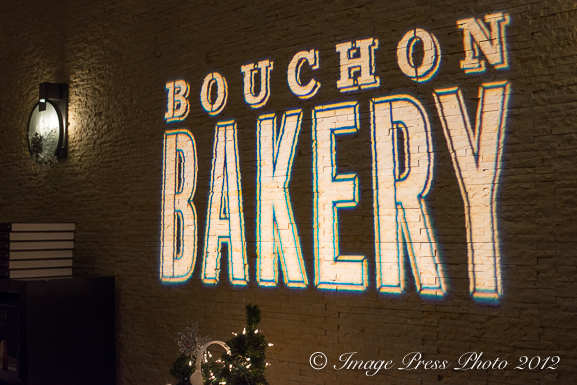 Following the discussion, we were greeted with an array of desserts inspired by recipes from Bouchon Bakery, some of which were Keller’s childhood favorites. Clever versions of Nutter Butters and Pecan Sandies were made by local pastry chefs Lisa Donovan (Buttermilk Road Supper Club), Rebekah Turshen (City House), Megan Williams (Etch), and Alisa Huntsman (Loveless Cafe). Aptly named “Better Nutters,” Chef Williams’ version was unlike any Nutter Butter cookie you have ever tasted before. Coffee Macarons with chocolate ganache and soft caramel centers are the things dreams are made of. The highlight and finale of the evening was the opportunity to meet and speak with chefs Keller and Rouxel and to have them sign a personal note in my copy of their gorgeous book, Bouchon Bakery. They were gracious and freely gave their time. It was truly an honor to meet them both. I returned home inspired and excited to put this cookbook to use in my own kitchen. I am thrilled that we made the trip to Nashville! * Photo at the top of the post is with chefs Keller and Rouxel and friend Thomas Williams of Cornbread Consulting. what an amazing evening! 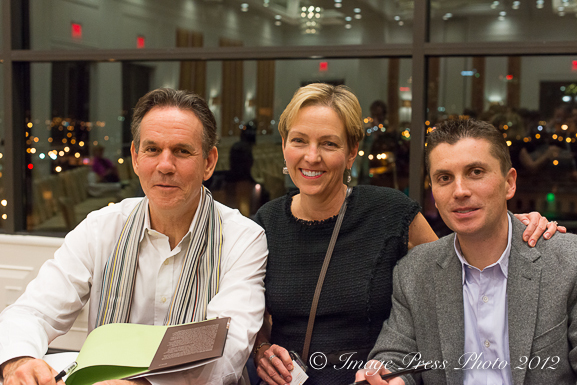 I have always admired Chef Keller and feel lucky to have dined at his establishments many times – reading about him here makes that admiration even greater. thanks for sharing the night with us! Thank you for your comment. Listening to these two men speak really was a pleasure and an inspiration. I hope to travel be able to dine in one of Keller’s restaurants again soon. Unfortunately, the Southeast is not home to any of them. Yes, I was a lucky girl to be able to attend this event. I was so excited to have the opportunity to speak to him in person. 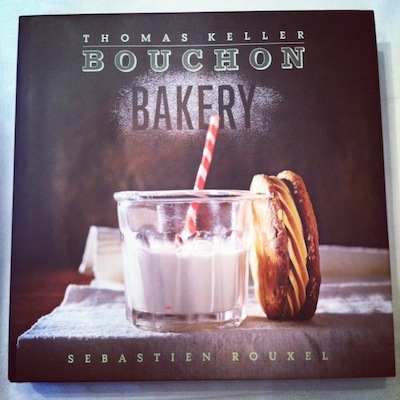 I also can’t wait to spend time thoroughly reading Bouchon Bakery and working through some of the recipes. First you know I have to make the comment that while sweet Colleen is offering glasses of milk you are slugging back wine. What a sensational event, Gwen, and what a great time! You are really getting around and meeting the most extraordiary people. 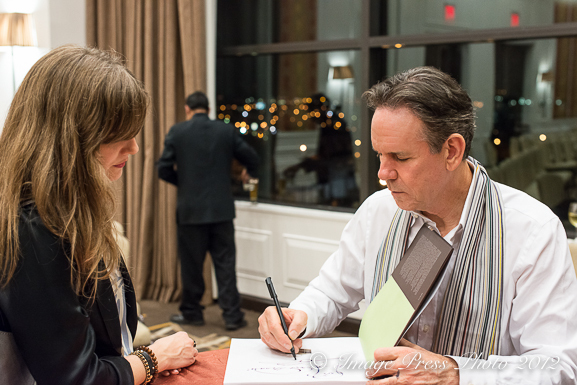 And what a great event, too… not simply a book signing but a complete food event and for a great cause. And need I say how fabulous you look? There was a whole lot more wine and bourbon consumed than vanilla milk that night, although that milk is incredibly good! We had a quart that didn’t last more than a day or two. Yes, it was a wonderful event and the proceeds went to a great charity. 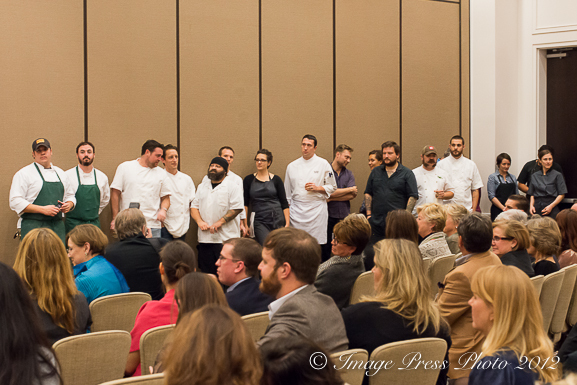 I feel very fortunate to have been able to attend and meet chefs Keller and Rouxel. It was a fabulous evening made all the better by running into you and Mr B. Hope to see you here in Nashville again soon! Yes, it was great to see you both again! We look forward to connecting in the New Year. Happy Holidays! Wow! What an exciting event! Yes, it was a great evening. I hope you have a wonderful holiday season! This is f’ing awesome! Please tell me you’re going to frame that picture 😉 Looks like a wonderful evening! What a divine event! 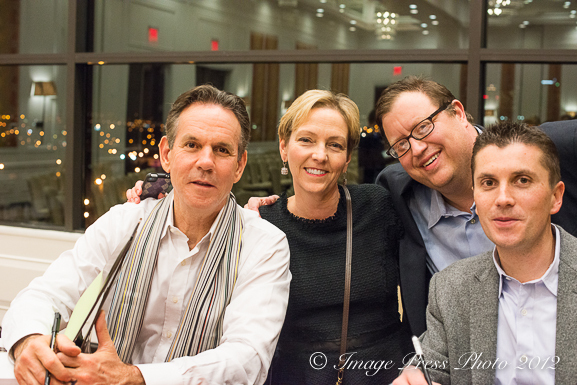 Looks like you had tons of fun and how special to be with such a reknown chef, such as Thomas Keller. Loved this post!!! 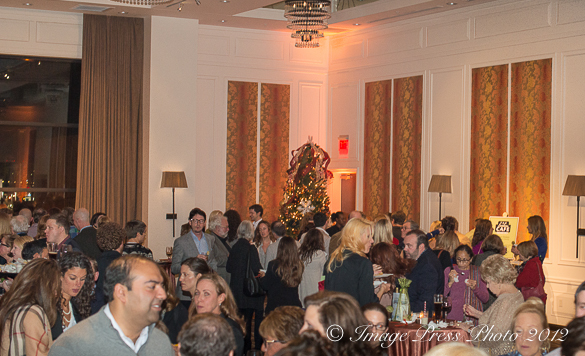 What an amazing evening this must have been to hobnob with celebrities of the food industry! I hope we get to see a recipe from the Bouchon Bakery featured here.